Version with a closed tank for use in an inert atmosphere. 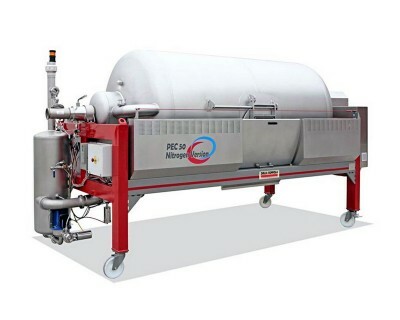 Pressing systems compensated with inert gas were introduced a few years ago for processing grapes, and white grapes in particular. Della Toffola is constantly striving to improve and modernize this particular process. 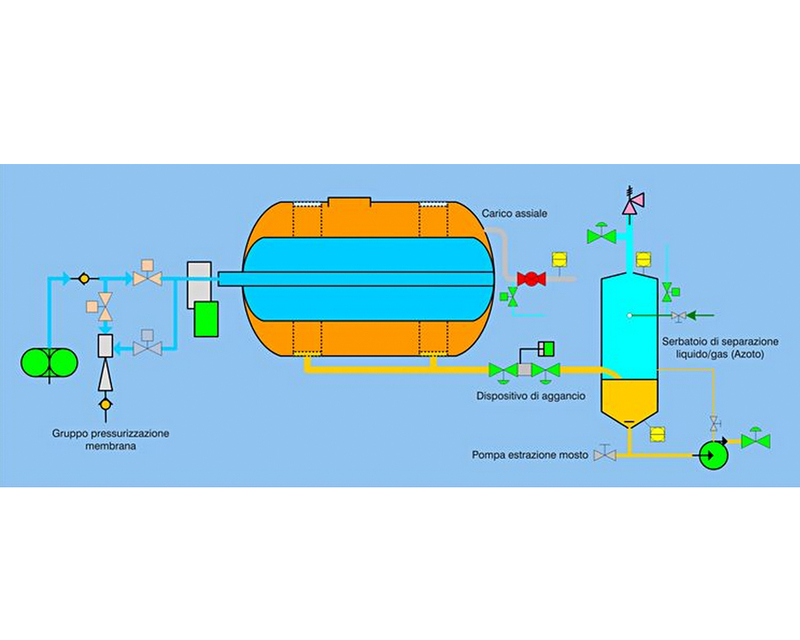 It is based on the application of a progressive pressing program combined with working cycles that take place in an environment protected with an inert gas, e.g. nitrogen, but the gas consumption isdrastically reduced, and there is no need for bulky and expensive outside storage tanks. The gradual program exploits successive pressure increases alternated with brief relaxations of the membrane. Nitrogen is delivered inside the press before it is filled and then it is topped up automatically with small quantities of gas as necessary, ensuring a working environment constantly saturated with pure gas. This guarantees an absolutely gentle processing action and the utmost respect for the product, with virtually no lees. The Della Toffola system has an advantage over other systems used these days, which enable the recovery of only 30-40% of the nitrogen used (and the gas is no longer pure anyway). special programs are used that guarantee fewer pressing cycles and a minimal production of lees. 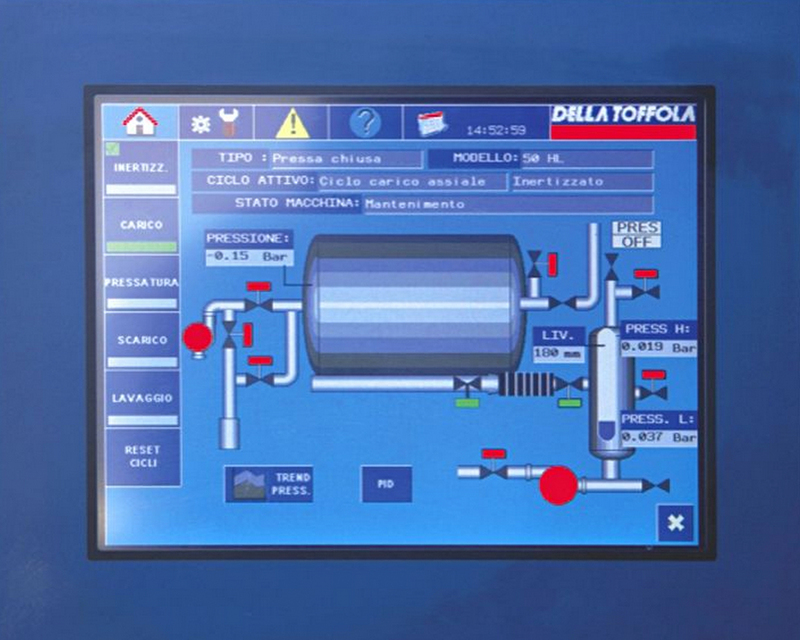 An utterly straightforward use combined with a total reliability of the pressuing cycles in a genuinely inert nitrogen atmosphere lend added value to the Della Toffola pneumatic presses.